An actinic keratosis (AK) is also known as a ‘solar’ keratosis. It has the appearance of a crusty, scaly growth and is caused by damage to the skin from exposure to ultraviolet (UV) radiation; something we see a lot of in Queensland! Can it cause skin cancer? Actinic keratosis is considered a pre cancer because if it’s left alone it may develop into a skin cancer, most often the second most common form of the disease, squamous cell carcinoma (SCC). Sun exposure! Queensland has the dubious title of the ‘skin cancer capital of the world’, having the highest rates of skin cancer thanks to our high year-round UV levels, outdoor lifestyle and the predominance of people with light skin colour in our population. The most common type of precancerous skin lesion, actinic keratosis appear on skin that has been regularly exposed to the sun or artificial sources of UV light, such as tanning machines. Where does actinic keratosis form on the body? They most frequently appear on exposed areas such as the face and body, including the scalp, ears, shoulders, neck, arms and back of hands. They can also appear on the shin, ankles and feet. Which skin types are more likely to develop solar keratosis? People who have fair complexions are more prone to AKs than are people with medium or dark skin. 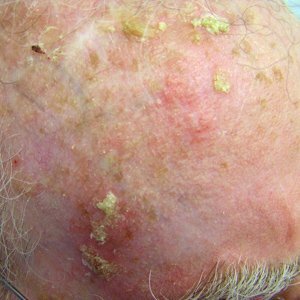 What does solar keratosis look like? They are often elevated, rough in texture and resemble warts or scabs. They often become red, and can range in colour from light or dark beige, white or pink. They can also change colour. In the beginning, these growth are usually so small, you can feel them better than you can see them. To touch, they have a sandpaper like feeling. Actinic keratoses usually develop gradually, becoming more visible as they mature. Sometimes, they seem to disappear, and then reappear later. 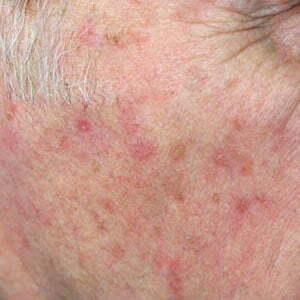 Occasionally they look like a stubborn pimple; they can be itchy or have a pricky sensation. They can also be inflamed and surrounded by redness, sometimes even bleeding (especially when caught by a shaver). Although actinic keratosis is considered a pre-cancerous condition, it is very treatable. Standard therapies include topical ointments, freezing, surgical excision and Photodynamic Therapy (PDT) . Now clinics such as ours are increasingly turning to lasers, such as Fraxel technology, to effectively treat AKs - because prevention is better than surgery! In Australia, Fraxel fractionated resurfacing laser is approved by the Therapeutic Goods Administration (TGA) for the treatment of solar keratosis. Our PRAHS Cosmetic and Rejuvenation Clinics in Brisbane and Ipswich were the first clinics of their kind in Queensland to offer the new generation of Fraxel technology. Fraxel targets the area of skin that actinic keratosis forms in, providing noticeable results after one treatment - without the downtime of a CO2 laser. 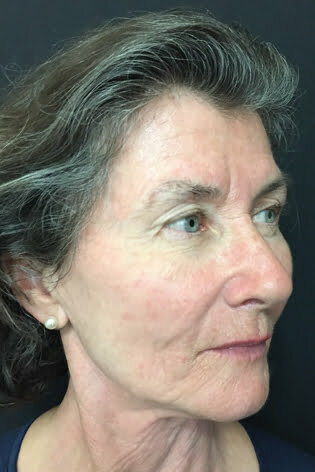 As Fraxel is ‘fractionated’ it does not ablate 100% of the surface area of the epidermis (upper layer of skin); meaning that it is able to deliver reliable results with much less potential for side effects than older ablative lasers, which were not fractionated. 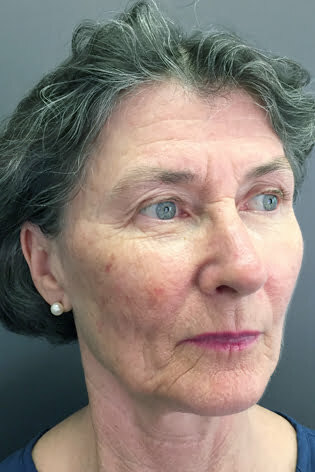 Fraxel provides treatment flexibility and adaptability, with the ability to vary wavelengths and intensities to tailor each treatment to meet a myriad of patient needs – even treating multiple indications for a single patient, with a single device (such as actinic keratosis as well as premature ageing or fine lines). WANT TO KNOW WHAT FRAXEL CAN DO FOR YOU?